As with my 2013 through-paddle, I have put together a live talk and slideshow presentation of this trip to offer to interested parties. It takes the audience through my planning process, some of the highs and lows, and many of the decisions made along the way, both good and bad. It lasts about an hour and I am very happy to entertain a 'Question & Answer' session afterwards. The first presentation was on 9 October, 2018 at the Ilsley Public Library in Middlebury, VT. This was recorded for Middlebury Community Television, and can be viewed online. Friday, 1 August, 2019 for Weeks State Park, NH, starting at 7:00 pm. Walter Opuszynski, former NFCT Trail Director, conducted a telephone interview with me 4 months after I completed this trip for his radio programme, Recreation Radio, at WGDR (Goddard College, VT). Being very familiar with the trail and its challenges, his questions made me think. He has kindly given permission for the entire wide-ranging conversation, which lasts about 1 hour, to be posted here. Andrew Brechko, the paddler I met while crossing Umbagog Lake, contacted me early in 2019. He publishes a podcast, Cabin & Cottage, featuring interviews with people who are leading creative or otherwise fascinating lives. 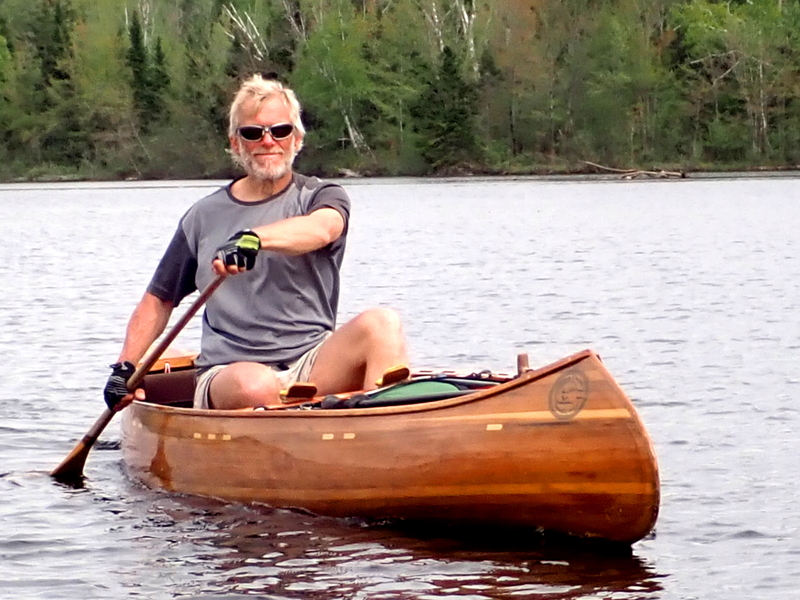 We had a phone conversation, about 30 minutes, which included sharing thoughts on our NFCT journeys, and a focus on my canoe building.